Happy New Year! Let's start this year with a bang shall we? To celebrate 2014, I'm giving away a red Marc by Marc Jacobs wallet. 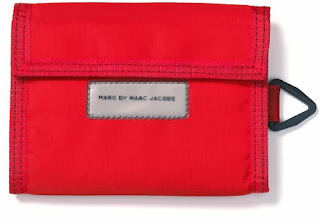 This wallet has many compartments and is a perfect gift for the upcoming valentines day, save it as a fabulous birthday gift, or keep it for yourself! Thank you for checking out my blog and may 2014 be a great success for you! You are very welcome Kay! Have a great day. Hi Sara, you can enter the raffle via desktop version of the purefecto website. The raffle does not appear on mobile. I don't think rafflecopter has that figured out yet unless I'm posting it on facebook.